With four pairs of eyes in the house and the bright summer sun blinding outside, there are multiple pairs of sunglasses in our household. For easy access, we would set them on the windowsill by the front door, but it had turned into a junky, jumbly mess. Solution? 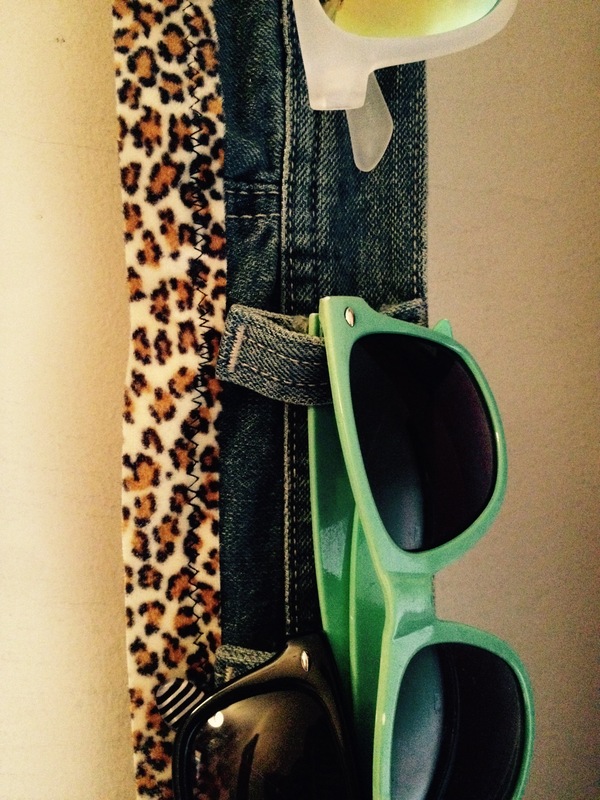 A simple belt loop upcycle that will organize those specs! – a pair of pants with as many belt loops as you can find (I found a big ole pair of pants at Goodwill). – some sort of edging, if desired. – sewing machine or needle and thread. 1. Really, there is nothing simpler than this project. It’s SO easy. 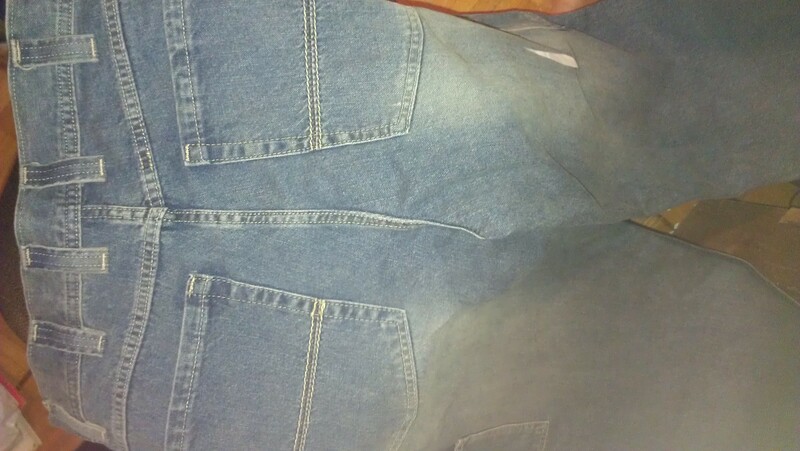 I found a huge pair of pants at Goodwill, brought them home, and cut off the waistband, under the belt loops. 2. 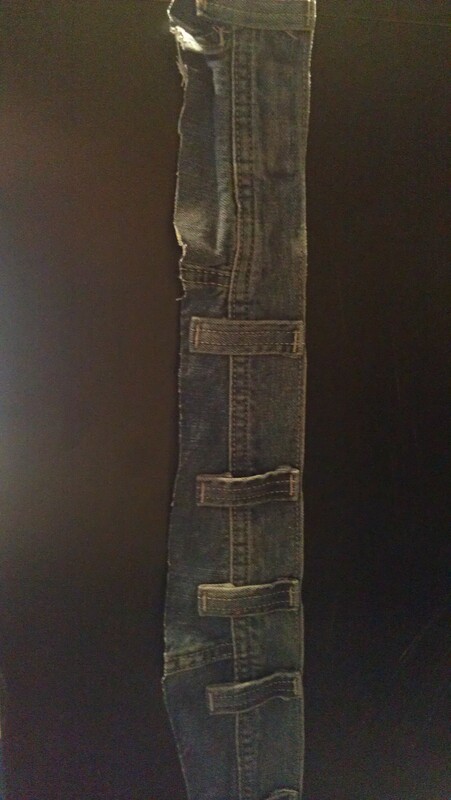 Because the bottom of the loops were under the waist seam, it was not as clean of a cut as loops that ended at the waist seam would be. 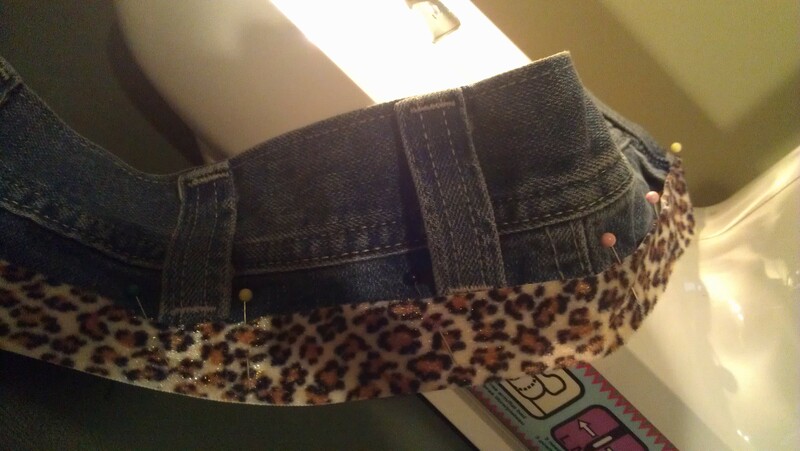 Therefore, I decided to edge the cut side with a leopard print border that I had lying around. But really, if you have a clean cut, you could be already finished! 3. I used the buttonhole to hang on a hook by the door and inserted an arm of the sunglasses into each loop. 4. Trashy window ledge sunglass graveyard is retired. 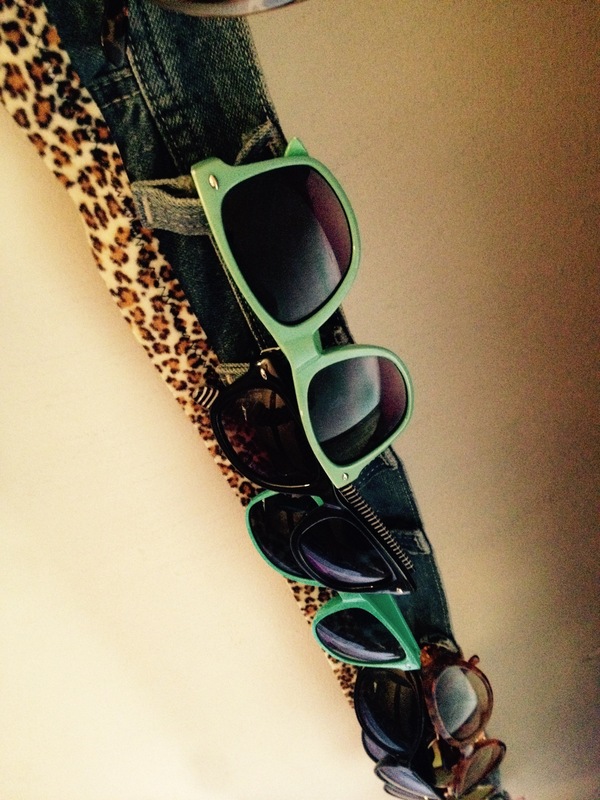 Funky sunglass holder completed and sunglasses are organized!